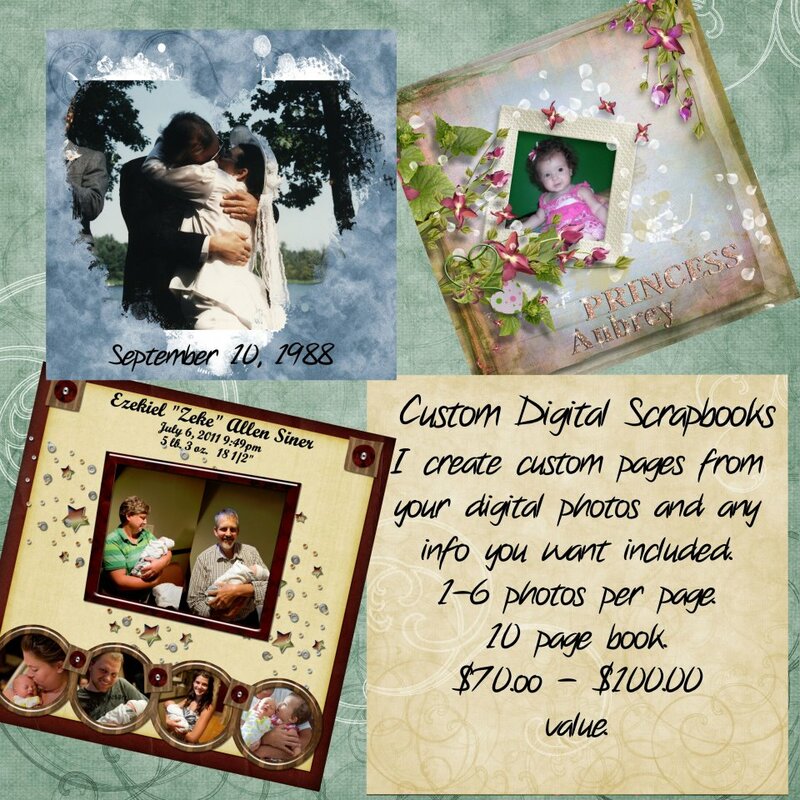 10 pages designed (up to 6 pictures per page) using your own digital pictures,printed in an 8×8 scrapbook album. Minimum starting bid is $50. Bidding increments must be at least $5.